Compete for Free and Super Spins, wager-free, every week! 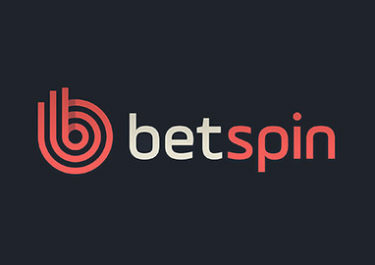 Join a fresh set of tournaments at Betspin this spring and race against your fellow spinners for a share of the weekly prize pool. Play on a selection of 40 thrilling games and earn points towards the leader board. The TOP25 will share the €500 prize pool, paid out on Mondays in wager-free Super and Free Spins. Join the Spring Edition of the Betspin Series and compete every week against your fellow players for share of the prize pool worth €500 in Free and Super Spins. All winnings from the prizes are cash, no wagering requirement. Terms and conditions apply. The race starts every week at 00:01 CET on Monday and ends at 23:59 CET on Sunday. Spin with minimum €0.40 on the eligible slots and earn 1 point on the leader board for every €1 wagered. Only cash bets qualify for this tournament. The selected games are marked with “Series” during the tournament week for easier identification. Eligible Tournament Games: Alchymedes, Aloha! Cluster Pays™, Beauty and the Beast, Big Blox, Book of Dead, Chi Beasties 2, Emoji Planet™, Emoticoins, Esqueleto Explosivo, Fairy Gate, Gemix, Goldwyn’s Fairies, Gonzo’s Quest, Immortal Romance, Jack and the Beanstalk, Jungle Books, Jungle Spirit: Call of the Wild™, Lightning, Gems, Mega Jade, Mermaid’s Diamonds, Moon Princess, Phoenix Sun, Piggy Riches, Puss’n Boots, Roasty McFry and the Flame Busters, Sakura Fortune, Sam on the Beach, Shangri-La, Spina Colada, Spinata Grande, Starburst™, Sticky Bandits, The Legend of Shangri-La Cluster Pays, Valley of the Gods, Warlords: Crystals of Power™, Wild Toro, Wild Wild Chest, Wild Wild West: The Great Train Heist™, Wins of Fortune, Wolf Cub. 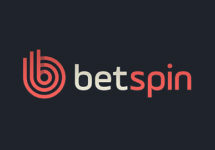 The TOP25 spinners will share the prize pool worth €500, paid out in Free and Super Spins at 00:01 CET on Mondays: 1st – €200 in Super Spins | 2nd – €100 in Super Spins| 3rd – €75 in Super Spins | 4th – €50 in Super Spins | 5th – €25 in Super Spins | 6th to 10th – €5 in Free Spins | 11th to 20th – €2 in Free Spins | 21st to 25th – €1 in Free Spins. Winning players will be notified with their prize and the designated game for the Free and Super Spins. All winnings are wager free. 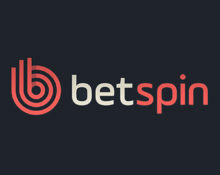 Betspin – Betspin Series: Autumn Edition!